No less than ASUS Global CEO, Jerry Shen, spearheaded the Philippine launch anew, and he was joined byASUS Global Marketing Operations Head, Marcel Campos, and ASUS Philippines’ Country Manager, George Su on stage to all mark yet another milestone in the country. Qualcomm President and VP for Southeast Asia, Manholtra Mantosh was in attendance as well to celebrate the long-standing and strong partnership between the two companies. 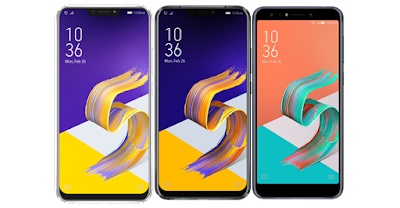 ZenFone 5Z is an exciting next-generation 6.2-inch, dual-camera smartphone that comes with a beautiful 19:9 all-screen display (ASUS’s first-ever phone to have this feature) featuring a 90% screen-to-body ratio, packed in a 5.5-inch body size. It’s also the first-ever ZenFone model to harness the power of the latest Snapdragon 845Mobile Platform with AIE, featuring a 3rd Generation AI platform that includes the Hexagon 685 Vector DSP, Adreno 630 Graphics, and Kryo 385 CPU. ZenFone 5Z also benefits from the Snapdragon X20 Gigabit LTE modem, delivering speeds that surpass the gigabit barrier for a 'wireless fiber' experience, as well as integrated 2x2 802.11ac Wi-Fi and Bluetooth® 5 for ultra-low-power wireless earbuds. The extreme-performance ZenFone 5Z comes with 6GB RAM and 128GB ROM, offering breathtaking performance combined with outstanding energy efficiency for long-lasting battery life. ZenFone 5Z and ZenFone 5 feature intelligent dual-camera systems that adapt and learn, delivering perfect photos every time. Equipped with the latest flagship Sony® IMX363 sensor with large 1.4µm pixels, an f/1.8 wide-aperture lens, 120° wide-angle secondary camera, four-axis optical image stabilization (OIS) and AI-enhanced camera features — including AI Scene Detection for 16 different scenes and objects, AI Photo Learning, Real-time Portrait and Real-time Beautification — ZenFone 5Z and ZenFone 5 encourage creativity and free the user to concentrate on the subject rather than the camera. The ZenFone 5Q is a stylish 6-inch smartphone featuring the world's first globally-announced true quad-camera system with high-resolution and wide-angle cameras at both front and rear. ZenFone 5Q removes the limits on photographic creativity, with a high-resolution main camera — 20MP Sony at the front, 16MP at the rear— and, uniquely, a secondary 120° wide-angle camera at both front and rear. Unlike rival systems, each camera works independently every time for perfect selfies, wefies, landscapes, portraits or groups shots. The 6-inch Full HD+ IPS display has a Full View 18:9 aspect ratio and an ultraslim bezel, making the pocket-friendly ZenFone 5Q as compact as a standard-aspect-ratio 5.5-inch phone. Powered by the Snapdragon 630Mobile Platform, ZenFone 5Q combines incredible performance, optimized power efficiency and a 3300mAh battery with advanced security and convenience features — including NFC, triple-slot SIM/microSD card holder, rapid face unlock and fingerprint recognition — for a mobile experience like no other. The ZenFone 5 and ZenFone 5Q are officially available nationwide beginning April 14, 2018 and are for 0% interest on Home Credit for 6 months, from April 14, 2018 to June 30, 2018.The ZenFone 5 is priced only at PHP19,995.00 and the ZenFone 5Q is for the affordable rate of PHP 16,995.00. Onsite buyers of the ZenFone 5 were bundled with a JBL T450 Headset, a JBL Flip 4 Speakers, and an exclusive ZenFone Hoodie; while on-site buyers of the ZenFone 5Q were given a bundle of JBL Clip 2 Speakers, ZenPower Slim 3000, and an exclusive ZenFone Hoodie. ZenFone 5Z will hit the market within June 2018 for just PHP 29,995.00. The ZenFone Max M1 also made an appearance during the event. Titled as the BATTERY KING FOR PHOTOGRAPHERS, the newest addition to the ZenFone Max heritage sports a 13MP + 8MP dual rear camera and a 5.5” HD+ Full View Display, and is powered by a 4000mAh large battery housed inside a 5” design. With a market price of PHP 8,995.00, the ZenFone Max M1 will arrive in the coming weeks. The 100th ASUS store will have opened in Ayala Malls Feliz, Marcos Highway.